Looking for the best Italian restaurant, centrally located in Whistler and offering pizza delivery? Your search ends now! 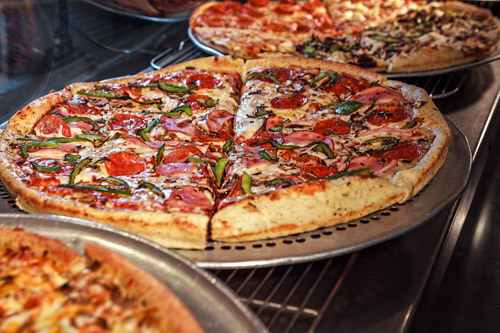 Avalanche Pizza delivers in Whistler, from 11:00 AM to 3:00 AM, making it possible for pizza lovers to enjoy the lunch, dinner, or late-night snack they're craving, when they crave it. When it comes to pizza delivery, Whistler customers are guaranteed to receive quality food, fast. The next time you're thinking, “Where is the best place to order pizza near me?” call Avalanche and enjoy hot and fresh food. We take the quality of our food seriously, and it shows, by choosing only fresh ingredients and offering our customers a wide variety of choices to satisfy in the most unique taste preferences. 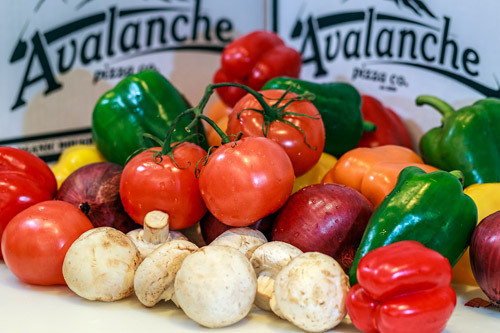 If you're looking for a truly satisfying Italian food experience, Avalanche Pizza is your source. When you're having a party or event, Avalanche Pizza also accepts advance orders for all our menu items, including pizza delivery. Whistler gatherings are always better when there's pizza, so go ahead and call us or use our online order form to place your order for your next special occasion. Pizza delivery offers the ultimate in convenience for Whistler residents and visitors. If it's too hot or too cold outside, all you need to do is pick up the phone and call us or place your order online, and your pizza will be delivered to your door. We offer the ultimate in convenience for anyone craving our mouth-watering pizzas. Bookmark our site for super-fast and convenient ordering for any future pizza delivery. Or, simply search “pizza near me in Whistler” or “best pizza near me delivery,” and you're sure to find Avalanche! Since the beginning, Avalanche Pizza has worked hard to be the best place in Whistler for Italian cuisine. We are committed to serving not just our patrons inside the restaurant but each and every hungry person in this beautiful Village who wants to eat our great tasting pizza. Our loyal customers will tell you that, at Avalanche, you really can taste the difference in the quality of the food we serve. Please call 604.932.3131 by telephone or fill out the online form to place an order with Avalanche Pizza in Whistler, BC, Canada. Please note that we only deliver in the Whistler, BC, Canada area.